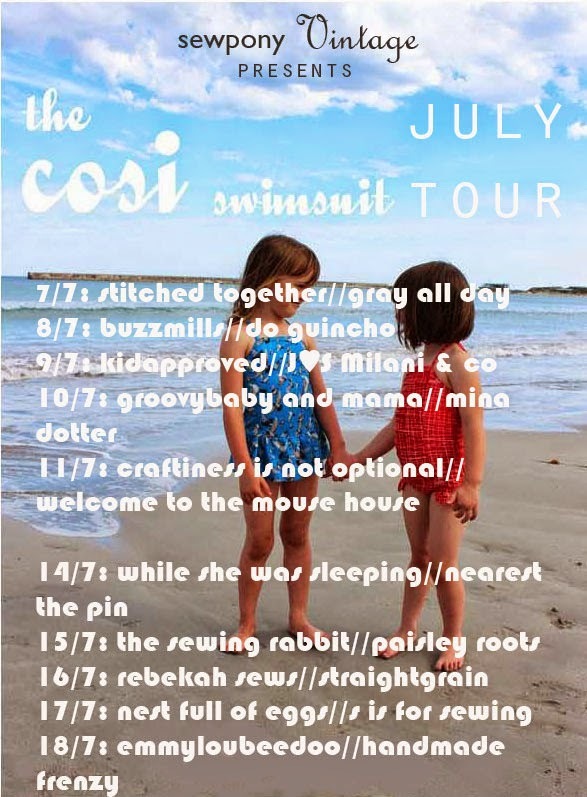 Welcome back to the second week of my cosi swimsuit blog tour. Today I am sharing suits made by two local girls - Jenya from While she was sleeping and Renee from Nearest the pin. Jenya and Renee both live in my home state and sew for their kids. Renee writes the blog, Nearest the pin. She sews for her son and daughter and also lots for herself. I found Renee's blog last year and it always so nice to connect with someone who lives close by. I have not yet met Renee, but hope to in the future. 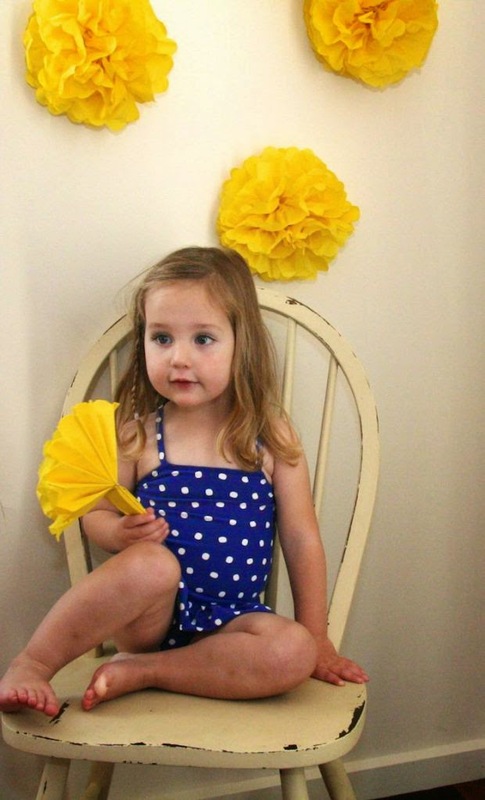 How sweet is this polka dotted cosi Renee made for her duaghter? I love the wall details too! Thank you for joining in Renee! Please head over to Nearest the pin to see more. You can buy my pattern here. You can use the code: COSITOUR15 to receive 15% off at checkout. This applies to all of my patterns until next Friday 18th July. Please come back tomorrow to see what Jessica and Karly have made!